Long before dogs of Instagram or social media of any form, there was snail mail. 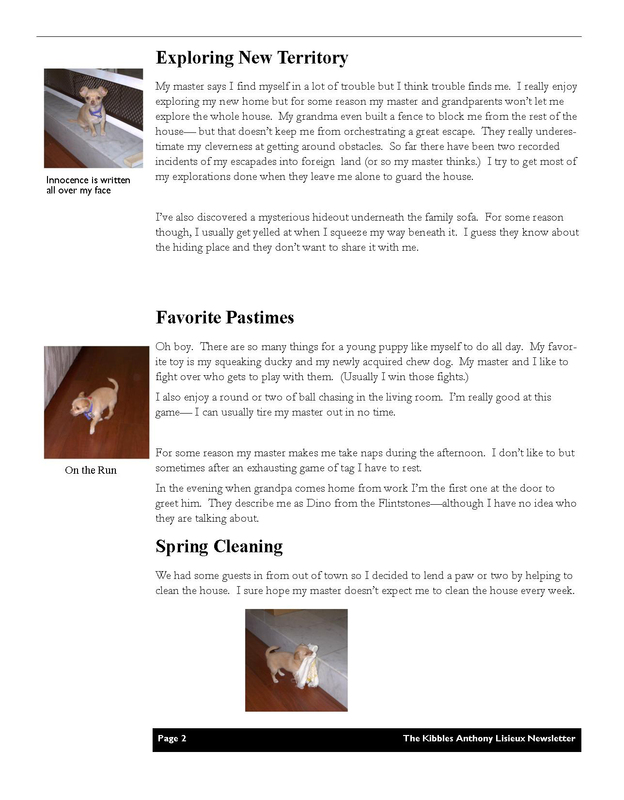 Kibbles published a monthly printed newsletter and mailed it to her fans. We both enjoyed this ‘hobby,’ though without the benefit of social media and instant feedback, we weren’t sure if we were pioneers or a little too quirky. Looking back I think we were ahead of our time. 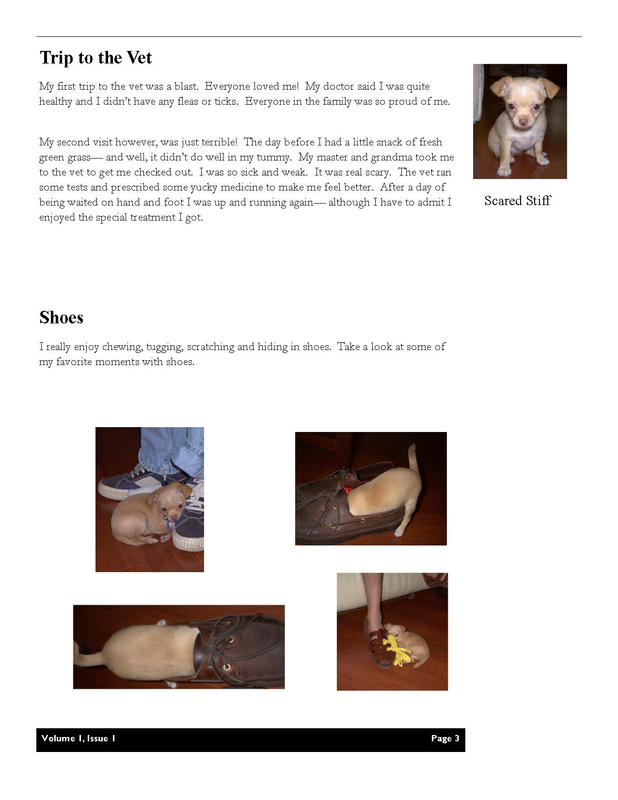 Recently, I managed to recover an old hard drive where Kibbles’ newsletters and baby photos were stored. 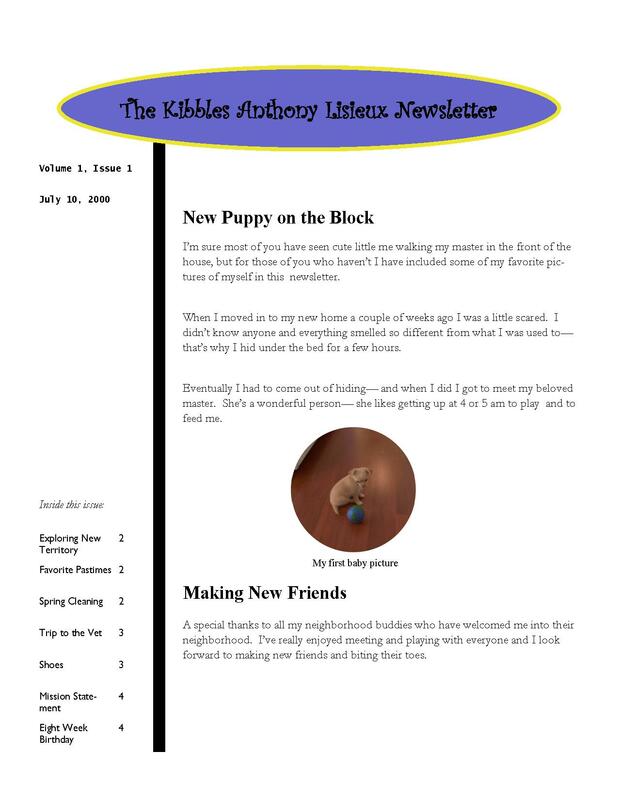 It is a treasure trove and I thought today, May 15, 2016 – the 1 year anniversary of Kibbles’ passing away, would be the best date to share her very first newsletter. You’ll have to get creative to view the images. 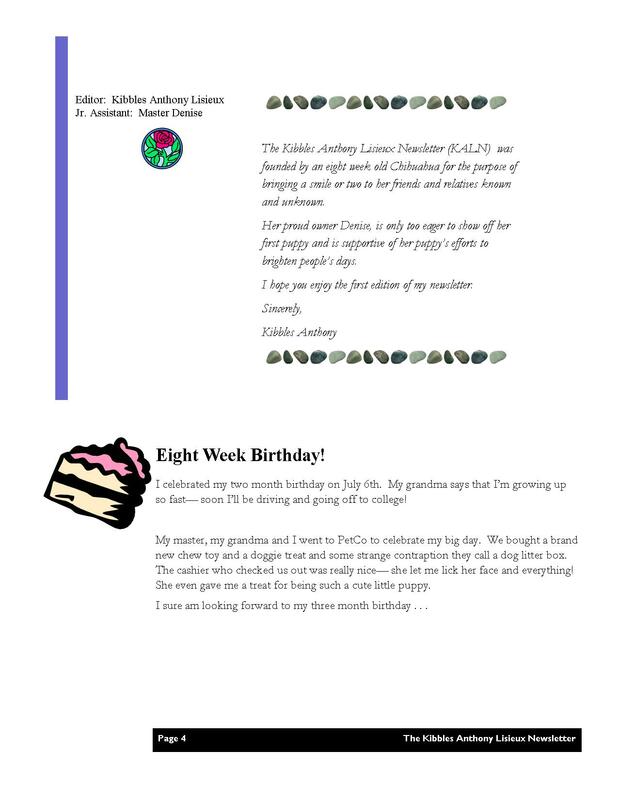 We created the newsletter in Microsoft Publisher. For this post I converted each page to a jpg. You’ll need to click on each image to enlarge them. (You may need to click on the image TWICE or zoom in to read the content). I opted not to do any editing (typos abound, but she was still a young puppy, learning how to write). Thank you for reading. Even though it has been 1 year she is still missed. So cute. Still missed very much.